Mad Millie fermented vegetable culture provides a faster more reliable fermentation of sauerkraut, kimchi and other fermented vegetables. Includes 5 sachets of freeze dried culture. 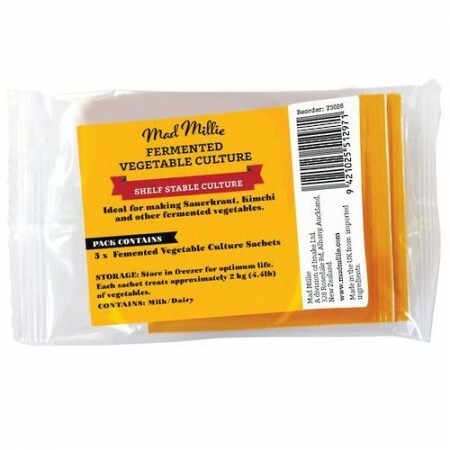 Mad Millie fermented vegetable culture provides a faster more reliable fermentation of sauerkraut, kimchi and other fermented vegetables. 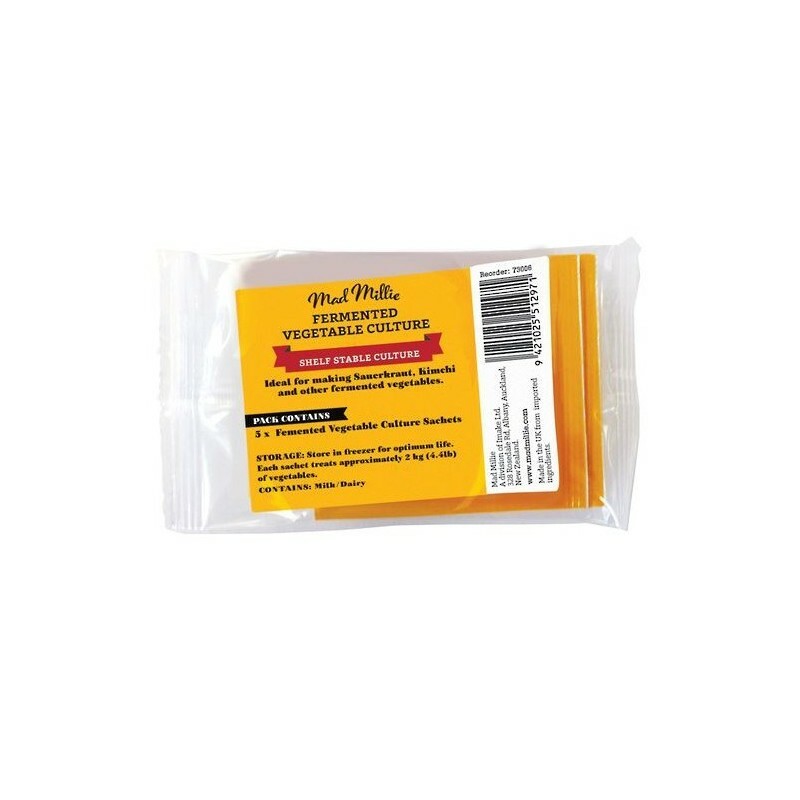 Includes 5 sachets containing freezer dried culture mix, each sachet treats approximately 5kg of vegetables. Note: culture contains dairy. Store culture in freezer to prolong shelf life. If you are new to lacto-fermenting, or your home is on the cool side, these cultures are a good way to get the fermentation process kick-started. While not essential, these are great for beginners and you can see 'something happening' more quickly than you do if you wait for fermentation to get going on it's own. I sometimes use these cultures in winter when my house is cooler, as it otherwise takes quite some time for my Kimchi to start bubbling away and who wants to wait for a couple of weeks before being able to scoff some?